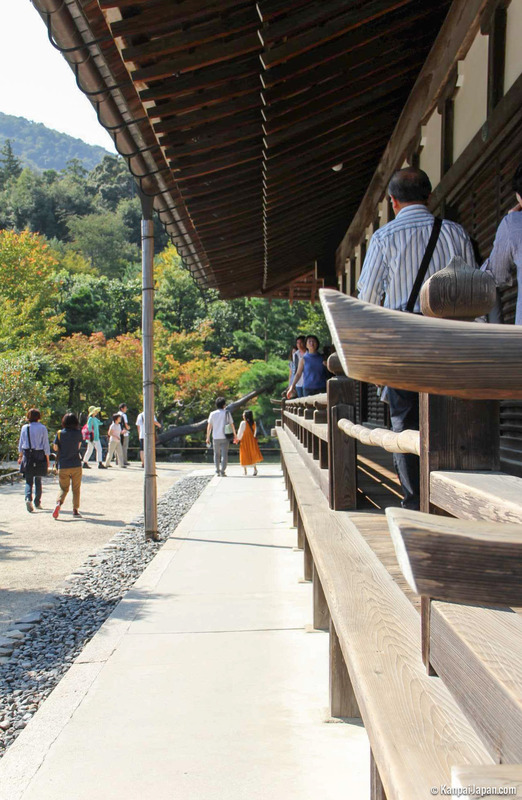 Tenryu-ji is the most remarkable of Kyoto’s five great temples and a must-see of any visit to Arashiyama. 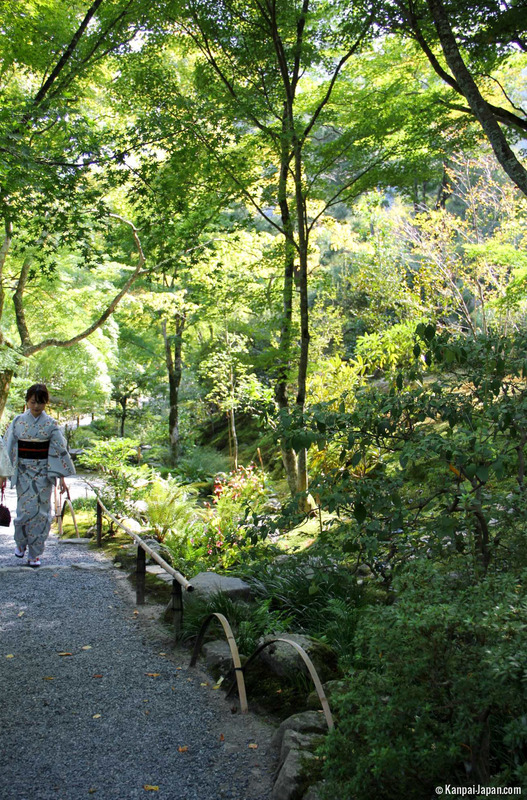 It is so central that it would be hard to skip it anyway: located just a few steps away from the main street of this famous district of western Kyoto, it directly adjoins the well-known bamboo grove. 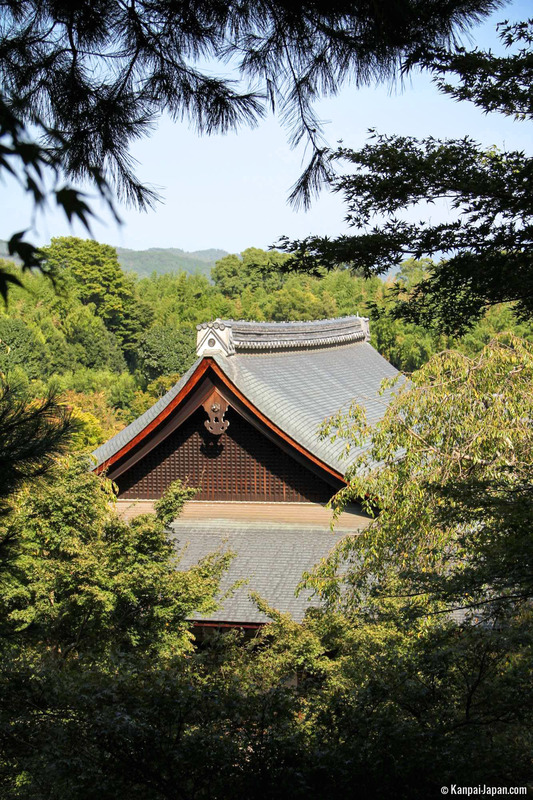 Founded in the 14th century by shogun Ashikaga Takauji to honor the recently departed Emperor Go-daigo, the temple obeys the precepts of Rinzai zen Buddhism. 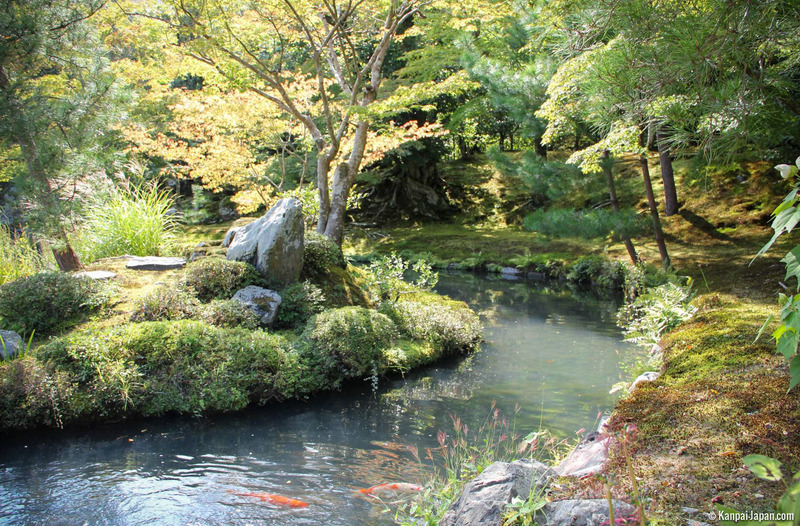 It is even its main representative in Japan. 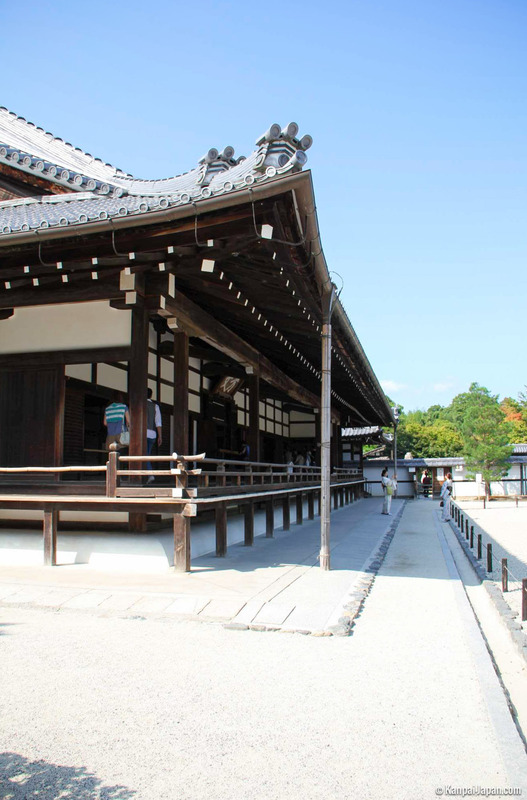 It was destroyed several times, including by fire, but the inside has always been rebuilt so as to retain its original aspect. 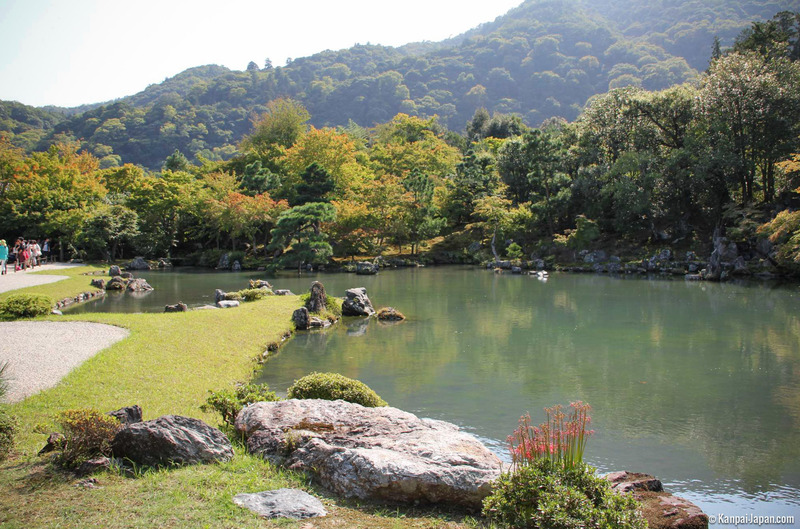 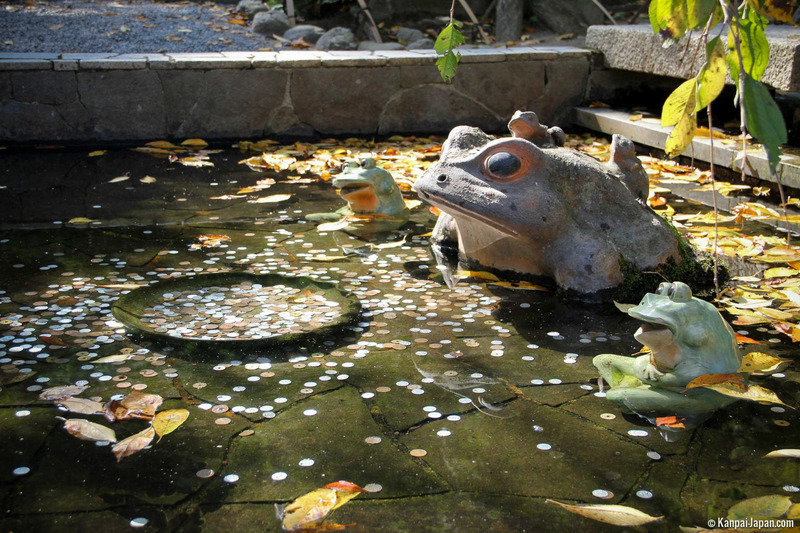 The visit focuses on the sublime Japanese garden next to the buildings, laid out around a large pond whose banks are strewn with solid rocks. 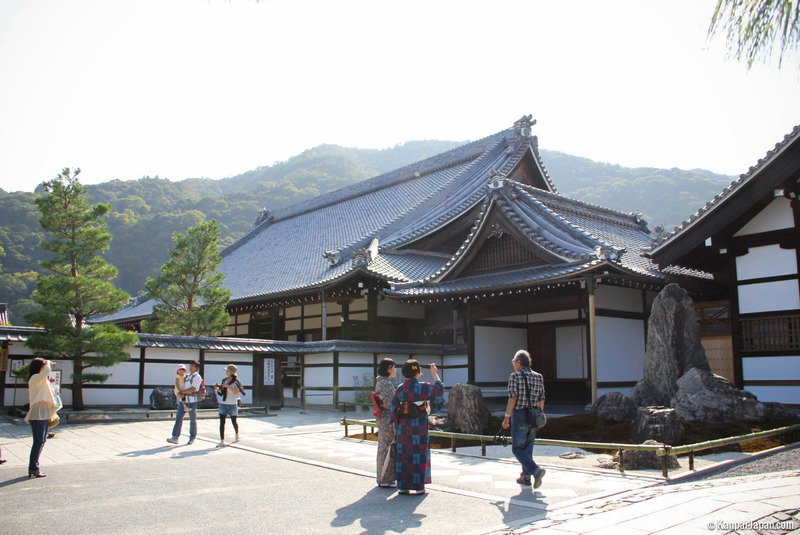 It is known as Sogenchi-teien. 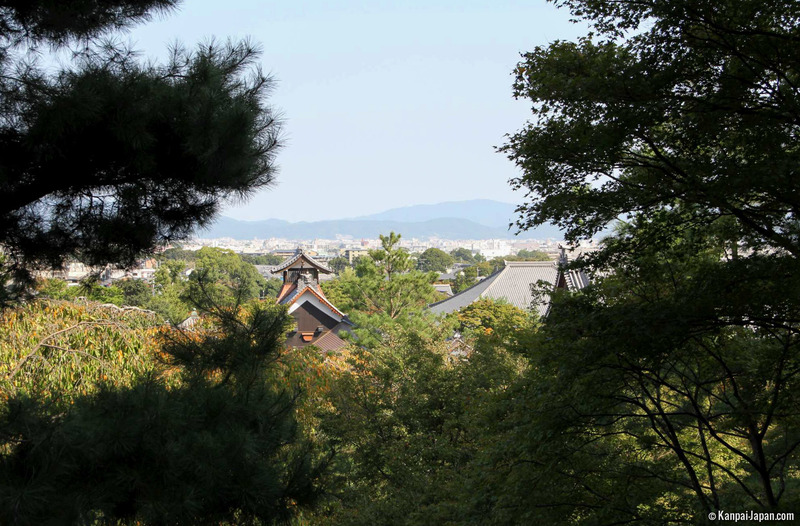 In the background, the tall pine trees provide a transition towards the immovable Arashiyama and Kameyama hills which roll far away into the distance, giving an unexpected depth of perspective to an already perfectly balanced landscape. 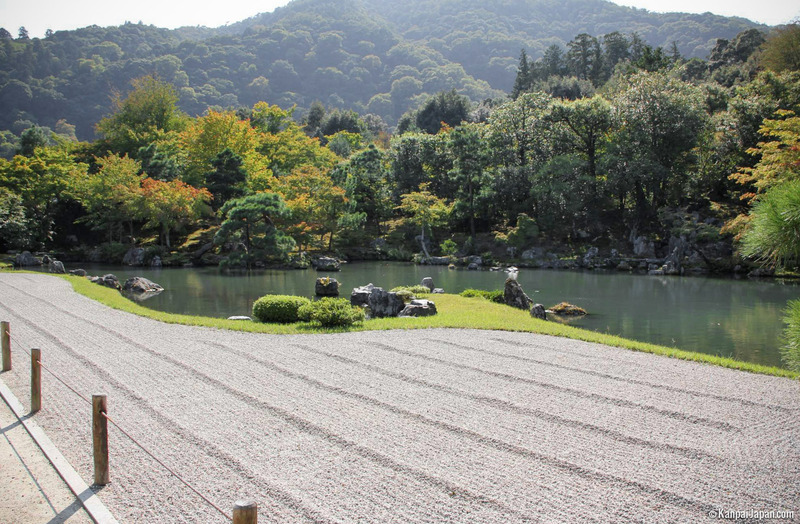 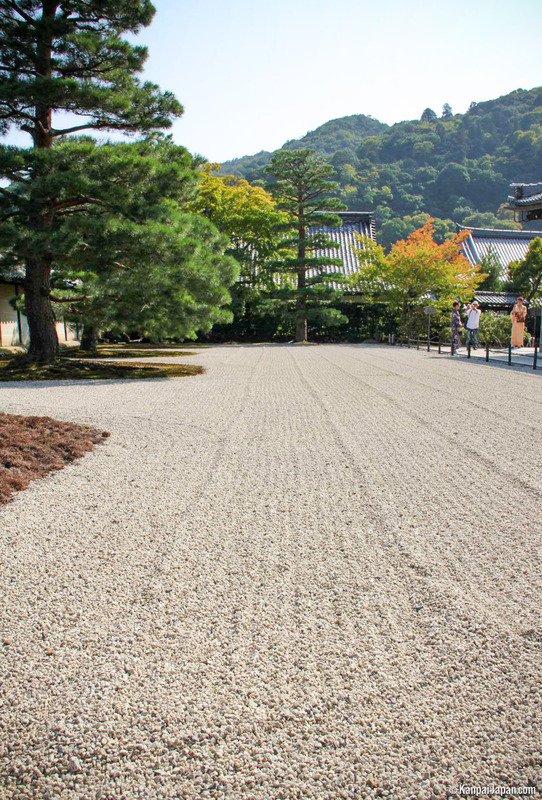 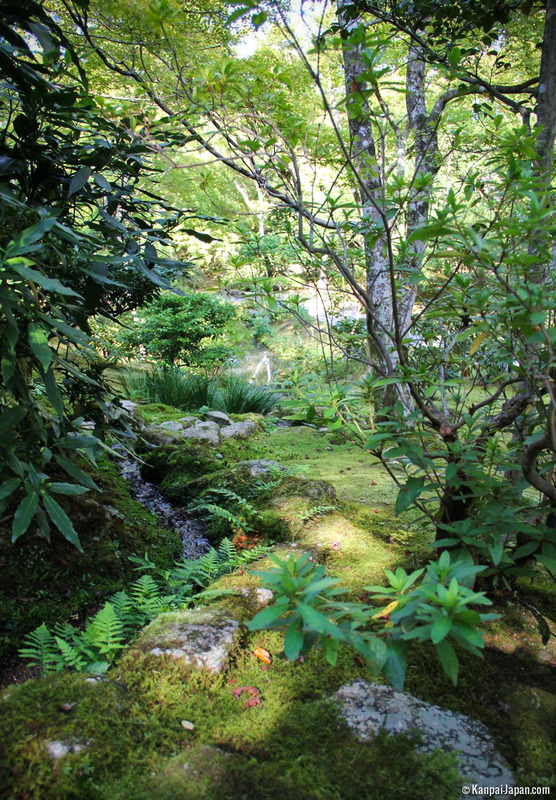 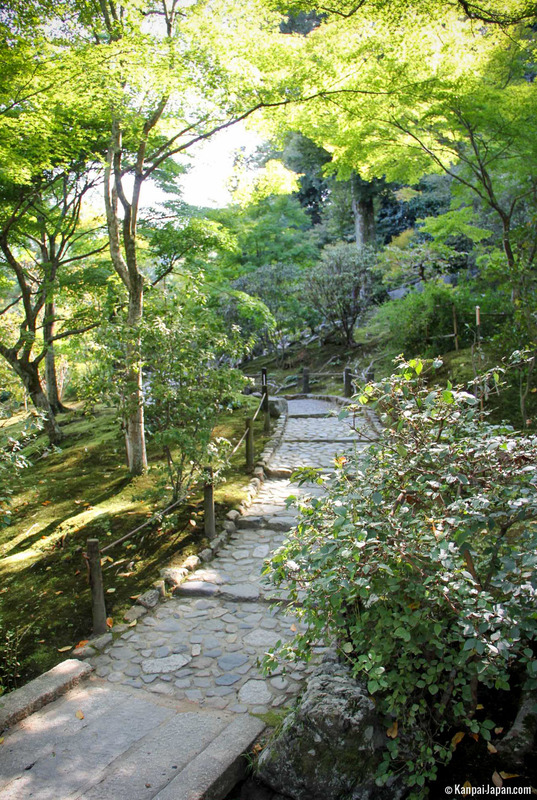 The quiet-echoing moss carpeting of the dry garden is very similar to that of the opulent Saiho-ji temple. 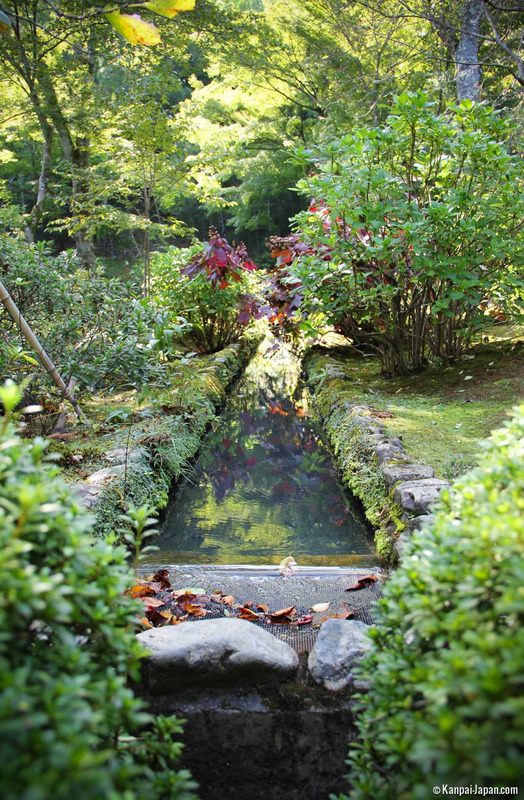 Both of these gems were indeed created by monk gardener, Soseki Muso, famed for his landscaping skills. 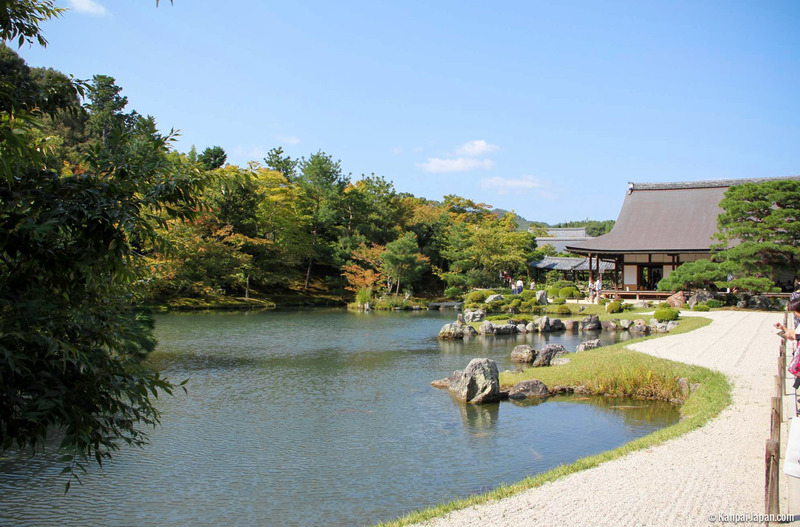 So, as opposed to the buildings, the park has retained its original aspect throughout the past seven centuries and is today considered as one of the most beautiful in Japan. 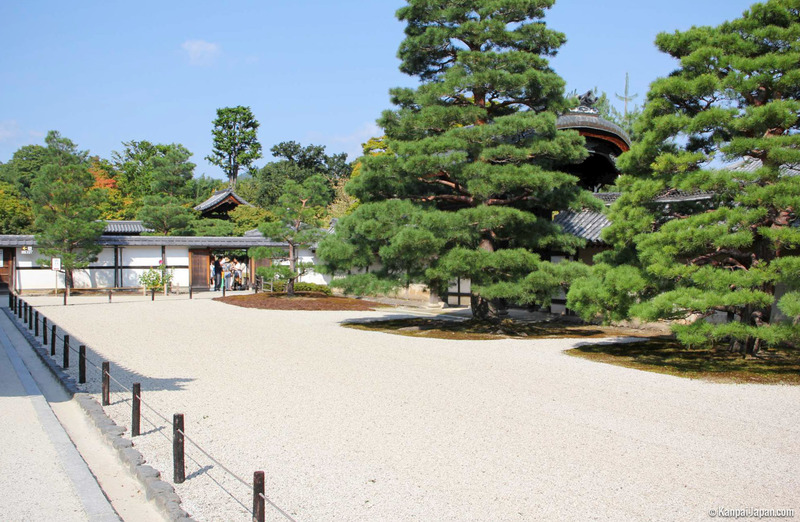 Tenryu-ji Temple is also the keeper of a precious jewel from which its poetic name is actually derived: a fascinating painting of a cloud dragon, imagined by an ancient priest and created in 1899 by artist Suzuki Shonen. 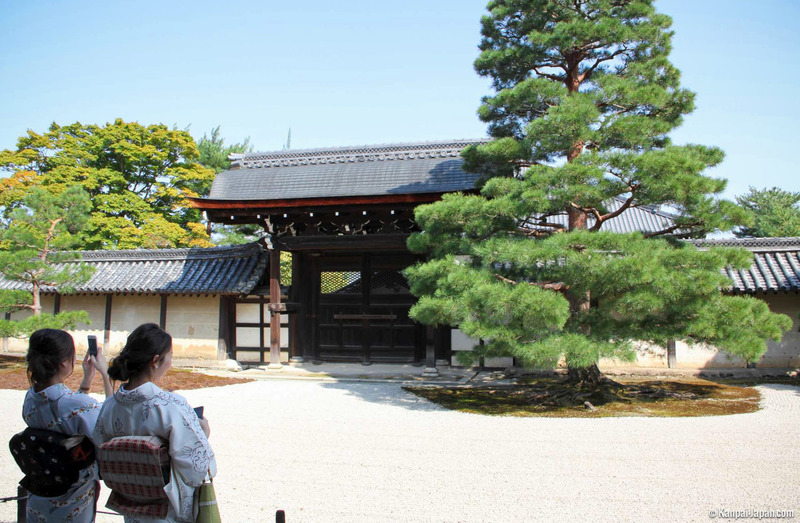 It hangs in the Dharma / Hatto hall which can only be accessed by visitors on non-working days. 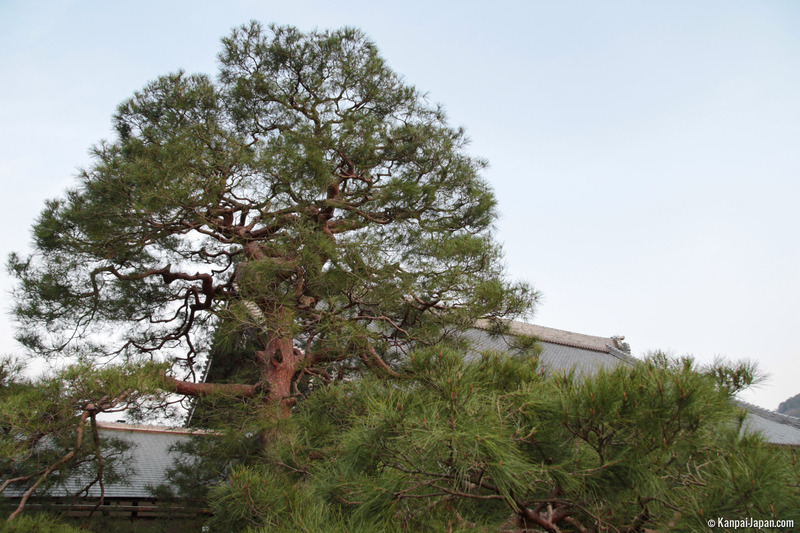 It was replaced by a new version in 1997. 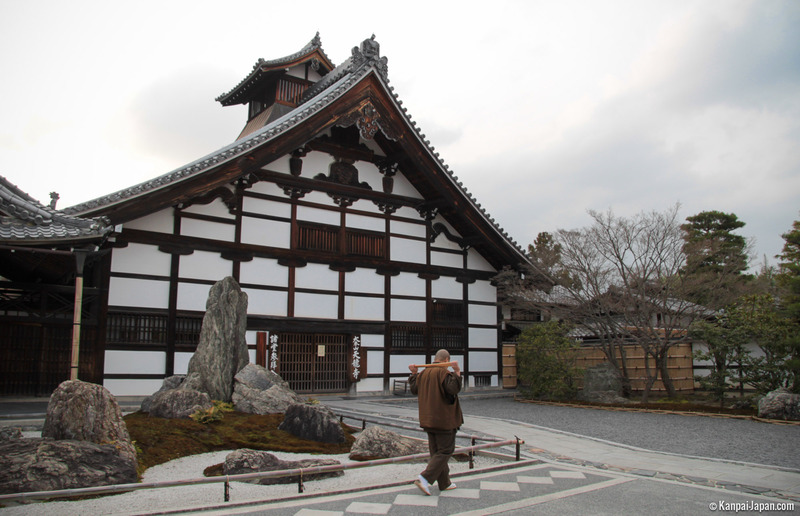 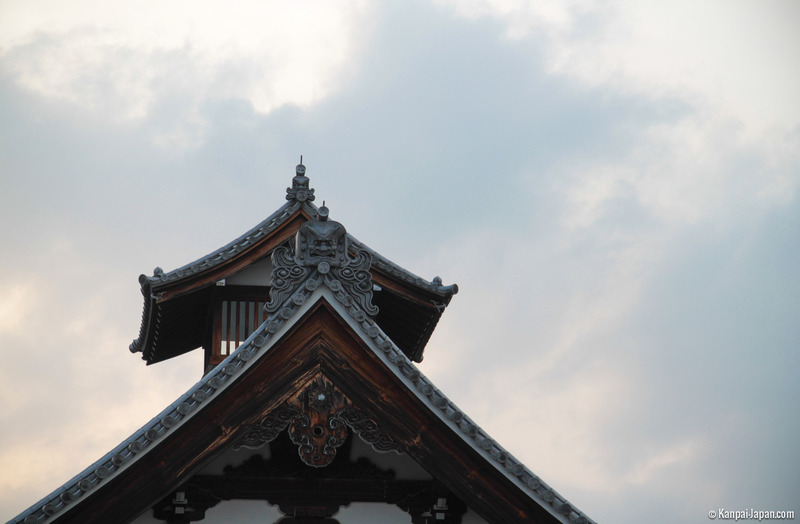 The temple as a whole is listed as a Unesco World Heritage Site along with other historical monuments of Ancient Kyoto.